Since news first broke about A&W making its comeback to Singapore, we’ve been excited and waiting for more details to be shared. A&W has finally officially opened its newest outlet at Jewel Changi Airport. 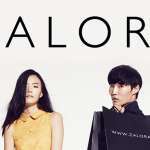 Located at Basement 2 of the mall, it is an 80-seater restaurant that will operate 24/7. The outlet features a retro interior design. You can look forward to dining in a space that has vintage American neon signs, an A&W Root Beer Hop-lady heritage poster, a life-sized Rooty – The Great Root Bear, and an authentic A&W Root Beer barrel chair. Instagram-worthy? We definitely think so, especially now that it’s newly opened! 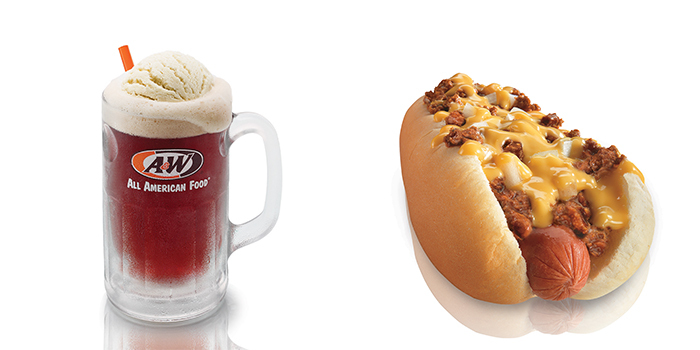 The fast food joint will be serving classics including the Made Fresh A&W Root Beer (S$2.90) served in the signature ice-cold frosty mug, Chicken/Beef Coney Dog (S$5.20) and Curly Fries (S$3.60). You will also expect all-time dessert favourites such as the Famous A&W Root Beer Float (S$3.50) and Waffle Ice Cream (S$7.90). 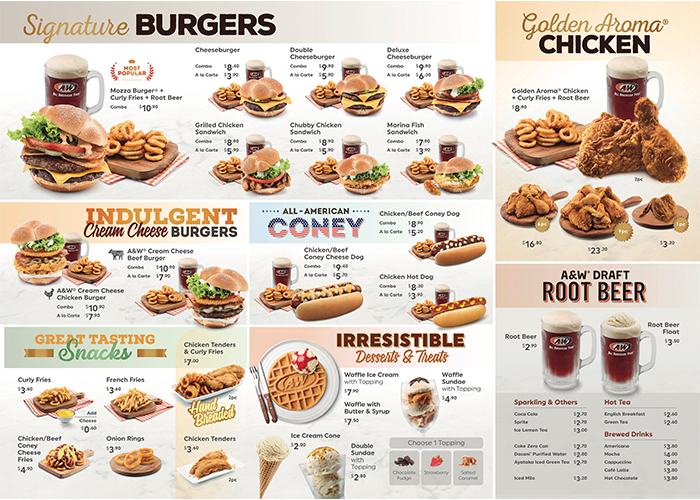 You’ll also be able to find regional bestsellers in its menu, including the Chicken/Beef Coney Cheese Fries (S$4.90) from the USA, Golden Aroma Chicken (from S$3.20) from Indonesia, A&W Cream Cheese Chicken/Beef Burgers (S$7.90) inspired by its A&W outlets in Okinawa, and the Waffle Sundae (S$4.90) from Thailand. 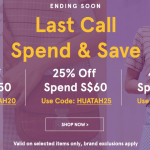 The outlet is in the midst of applying for Halal certification. 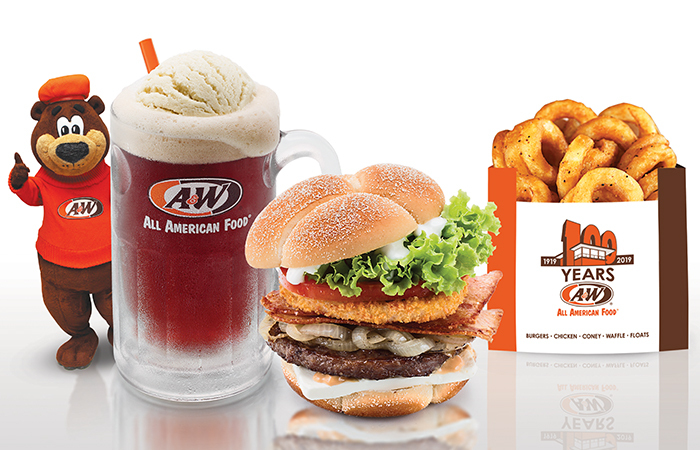 The new A&W outlet is located at 78 Airport Boulevard, #B2-209, Jewel Changi Airport, Singapore 819666.